This money-saving combination bundle includes 1) ClearSounds A700 DECT 6.0 Amplified Cordless Phone Handset; 2) A700 Telephone Base Charging Unit; 3) Rechargeable Battery; 4) Charger; 5) ClearSounds A700E Expansion Handset; 2) A700E Charging Base; 3) Rechargeable Battery; 4) Charger. The A700E is an accessory cordless phone to the A700 and requires the A700 base unit for telephone operation. The base included with the A700 E Expansion Handset is a charging base only. 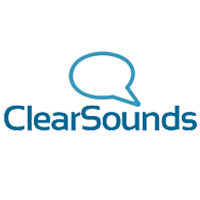 The ClearSounds A700 DECT 6.0 Amplified Cordless Phone with Answering Machine Base Unit can accommodate a total of five handsets.